The tutorials below are specific to Graphite, Ashlar-Vellum’s precision computer-aided drafting software. The tutorials can be used on both Mac and Windows versions of the software. 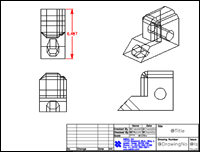 This tutorial demonstrates the basics of doing 2D/3D drafting in Graphite CAD software. Download the tutorial in PDF (.96 MB). This tutorial demonstrates how to create and define angled planes in Graphite wireframe drafting software. Download the tutorial in PDF (.4 MB). This tutorial demonstrates how to create the Ashlar-Vellum Wedge Die using the Graphite precision wireframe program. Download the tutorial in PDF (.62 MB). This tutorial demonstrates how to create 2D Isometric CAD drawings by adjusting the Drafting Assistant™ settings. Download the tutorial in PDF (.64 MB). 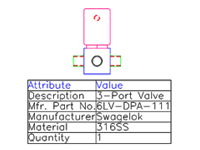 This tutorial demonstrates how to create a Bill of Materials using Graphite CAD software. Download the tutorial and support files for Macintosh (.53 MB) and for Windows (.52 MB). 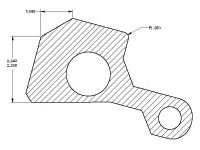 This tutorial demonstrates how to create non-associative detail views in Graphite CAD software. Download the tutorial in PDF (.31 MB). 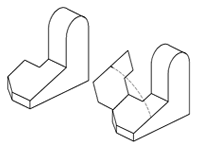 This tutorial demonstrates how to unfold 3D objects in Graphite CAD drawings. Download the tutorial in PDF (.44 MB).